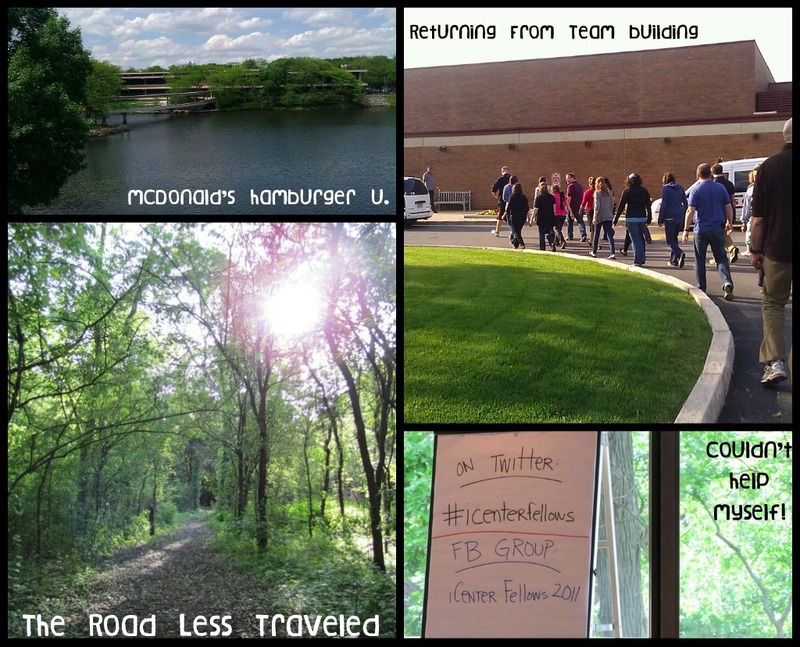 Toward the end of May, I spent about four days at a conference of sorts as a member of the 2011 iCenter Fellows. What is the iCenter? The iCenter serves as a national address and advocate for high-quality and meaningful Israel education. The iCenter is dedicated to developing and enhancing the field of pre-collegiate Israel education in North America, in both formal and informal settings. By building upon existing strengths in the field, the iCenter supports the work of Israel educators; identifies compelling educational resources and initiatives; and fosters the creation of a cadre of lay and professional champions of Israel education. In a new partnership, six American academic institutions have teamed up to offer their graduate students a Master's Concentration Program in Israel Education. Students study a common curriculum, gather together for eight colloquium days, receive individual mentoring, and create their own learning experience in Israel. The schools represented in our cohort include New York University (that's me! ), Azrieli Graduate School at YU, Davidson School at JTS, Hornstein Jewish Professional Leadership Program at Brandeis, HUC, and Spertus (in Chicago). We spent a Sunday-Thursday presenting on our views of Israel education, what makes good Israel education, listening to the "Jewish Jordan" Tamir Goodman speak, among other informative aspects of the colloquium. The most interesting thing to me was hearing from a group of six high schoolers with varying levels of observance but all with membership at Reform synagogues/Hebrew schools. One of the students had never heard of Birthright, another came from a Muslim-Jewish background. And all of them responded to my question about the importance of Hebrew language in identification with Israel as extremely important and disappointingly lacking. My takeaway from the colloquium? We're doing our young people a huge disservice by not emphasizing the importance of Hebrew language in Jewish identity formation. My suspicions were confirmed by the high schoolers as well as my cohort from the six institutions. WE APPEAL to the Jewish people throughout the Diaspora to rally round the Jews of Eretz-Israel in the tasks of immigration and upbuilding and to stand by them in the great struggle for the realization of the age-old dream -- the redemption of Israel. The reason we focused on this passage? We spent a lot of time asking WHY Israel, why should we in the Diaspora care, and why should we convince our kids that we care. So on our last day, we looked at this passage. Why? A few things. This passage uses the word "them" to refer to those who are physically in the land, while appealing to the Jews of the Diaspora to help this them, those who choose to live in the land, with immigration and upbuilding (infrastructure, basically) and to stand by "them" in their struggles to realize the redemption of Israel. Many people often ask whether Jews have a right to exist outside the land, as it was David Ben-Gurion's dream for all Jews to live in Israel. But this very passage in the declaration of the state validates the existence of those outside the land. However, it also obligates Diaspora Jews. It basically says, if you're not going to join us, you better stand behind us. How would you rank them? And do you view a difference between the people, state, and land of Israel? Or are the three the same? Should they be the same? Do you think your kids are getting a quality Israel education? Is Hebrew important to you or your kids as it pertains to Israel identification?